Gray hair. Unhealthy skin. Short temper. Feelings of dread. Feelings of hopelessness. These are just a few very common side effects high stress. The worst part of it is, as you get some stress many people add to that stress simply because they know they are stressed out! Ouch! Is that even fair? In the world of self improvement relaxation and stress reduction is one of the most sought after areas. It's for a simple reason: Stress is everywhere. Moreover, did you ever get formal schooling on how to handle stress? I didn't. 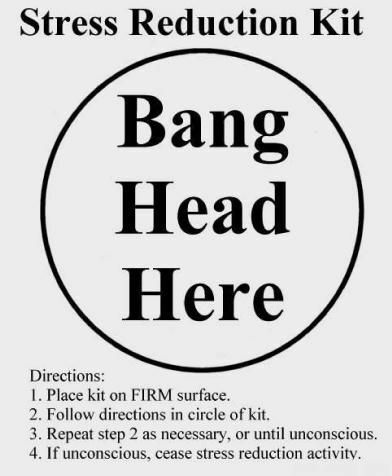 Nobody teaches you these important real world skills like handling stress. Those lessons sure would have served me better in life than learning about the fascinating topic of Riemann sums. 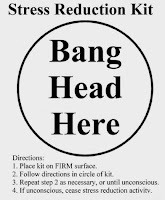 So that brings us to actually getting your stress hormones under control. I must warn you, the placebo effect will not work on you here. So if you're big on tricking yourself into thinking things are better or even worse then it's not going to work. Even more, there are no drugs, diet changes, or difficult techniques to learn! The advice is simple: Just get stuff out of your head! Write it down. If there's anything that has been on your mind for more than a week and you feel like it needs more attention at any level, then simply write it down. The magic of this stress tip is that once you write it down things just start flowing from that point on. What do you write? Well, write down anything and everything. If you need to wash the dishes then write that down. If you need to ask you boss for a raise then write it down. I'll bet there is a lot "backlog" in your head. Writing it all down will do wonders for both your stress level and your productivity. Why does writing it down work? A few things will happen when you write things down. First of all, you'll get those ideas, tasks, and thoughts out of the stress zone where it lingers in the back of your mind, but you know it's not getting done. Next, you're infinitely more likely to start working on the task or issue simply because now you can "see" it. Writing things down has the effect of making you put your thoughts into something more rational and coherent. Finally, when you write some things down you will realize that you just needed to get the thoughts out and clear them up. And once this happens you will realize that some of those pestering thoughts don't actually require any further action. Take this simple action step to reduce stress in your life. Feel the exhiliration and liberation from worry, anxiety (I wrote a previous self improvement article titled: Positive self talk for freedom from worry and Anxiety affirmations), stress, and the general malaise that goes along with leaving too much junk undone. All it takes is a pen or pencil and a nice sheet of lined paper. One thought, problem, task, or whatever you're thinking per line; and feel the stress melt away. When you're done with one of these, give yourself the reward of crossing it out and literally give yourself a pat on the back. You deserve it. Yep, it's quite funny how effective writing things down is. I remember reading Julia Camerons "The Artist Way", using the exact same method to become more creative. Writing things down settles things, make you mind relax. Hi Robin, I agree with you, write down anything and everything, putting down in front of your eyes is the best way to transform stress in somenthing to control. If you read it you know it and finally you can control and leave away from your head.